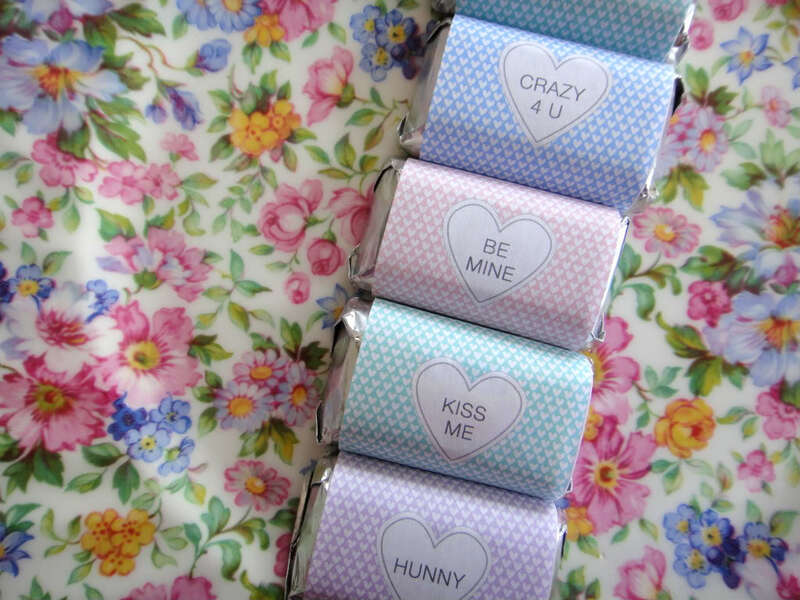 How pretty are these free Valentine candy bar wrappers from Nice Package? 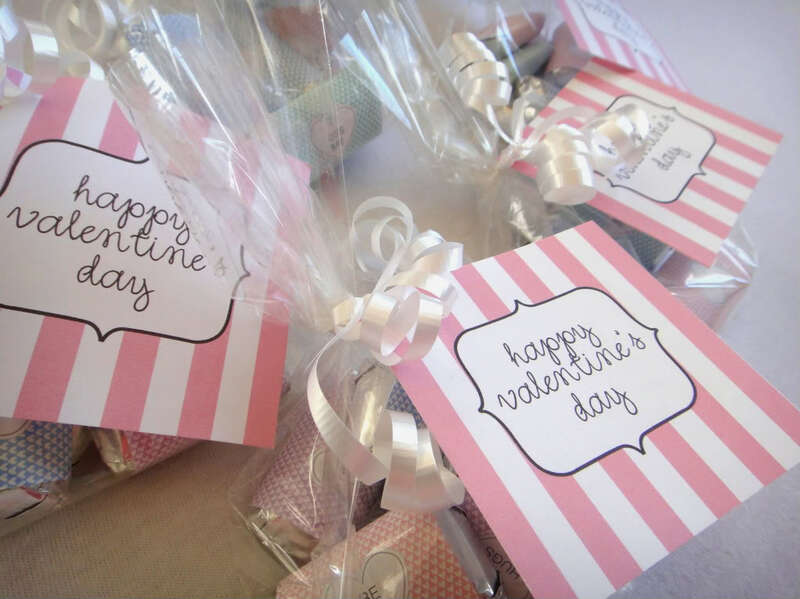 I paired them with the pink striped Valentine printable from Paperbox Press and made little Valentine treat bags for my familia. 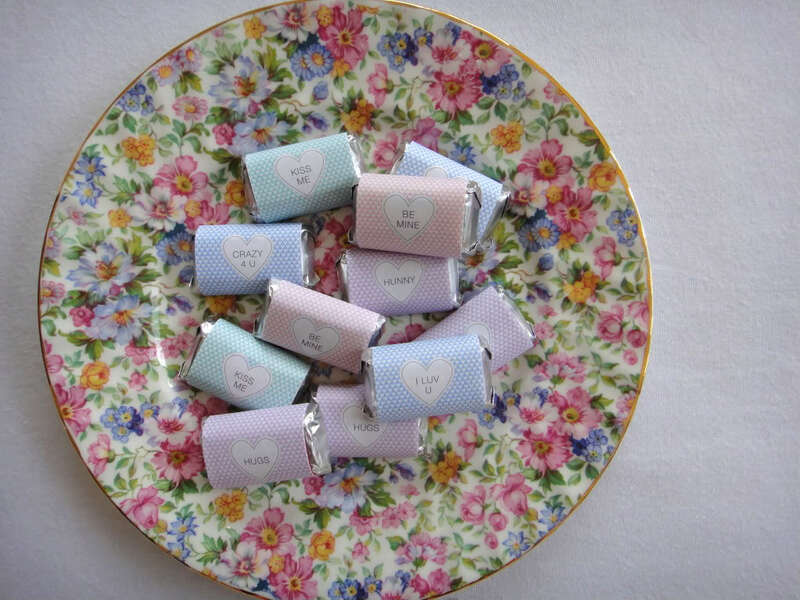 Free stuff makes me happy.